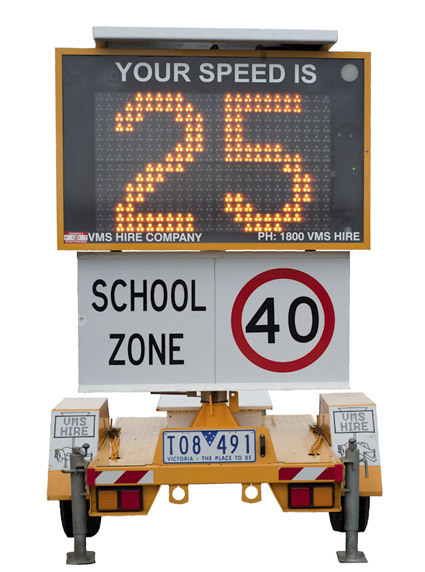 Speed advisory signs are a necessity when it comes to traffic management for major or minor road projects, monitoring speed, notifying drivers of changes in speed zones on freeways, main roads, mining sites, school zones and the likes. Our speed advisory boards are programmable to display the message of your choice, making them the perfect solution to any project. Along with this, they are solar powered and trailer mounted for maximum mobility and most importantly, your convenience. Why choose our Speed Advisory Signs? Our speed advisory boards have revolutionised traffic management and the safety of our roads. They are equipped with a radar speed detector, and have radar speed readout, satellite tracking, and data logging capabilities. Anything and everything you can think of that you would need to ensure the success of managing traffic, our speed advisory boards are able to do it. Let us take the stress away from your upcoming project. Get in touch with us today to organise your very own speed advisory sign.